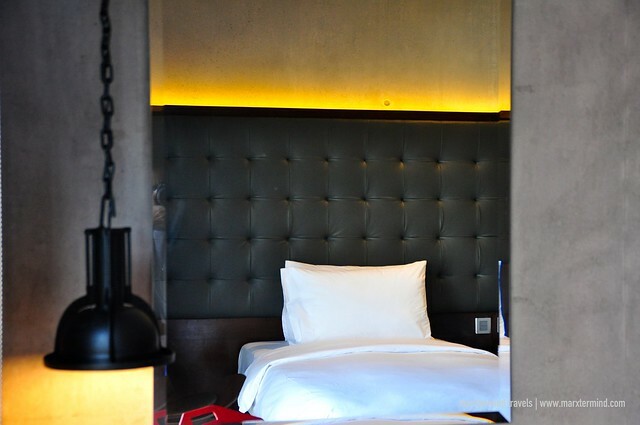 Me and my favorite staycation buddies were out again one weekend to stay in one of the newest hotels in the metro, B Hotel Quezon City. 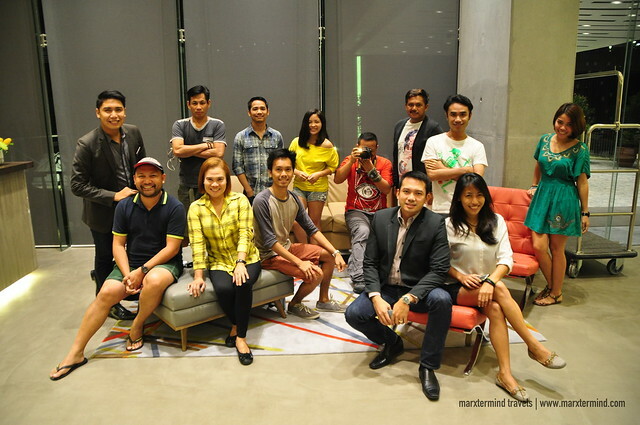 Our group was fortunate to be one of the firsts to experience this newest boutique hotel. 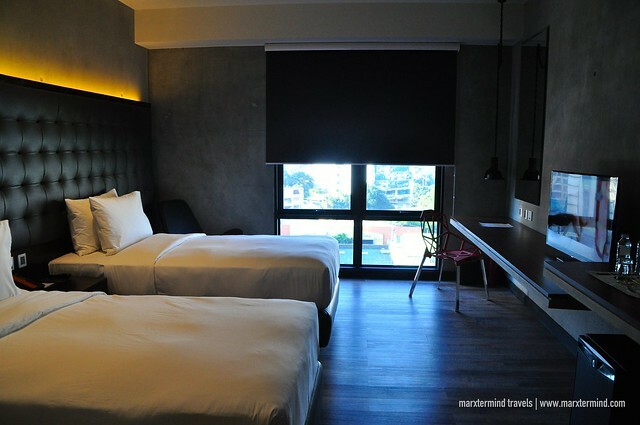 Under the property management of Bellevue Hotels and Resorts Group, the B Hotel Quezon City is a great addition to the growing hotel industry in Metro Manila. 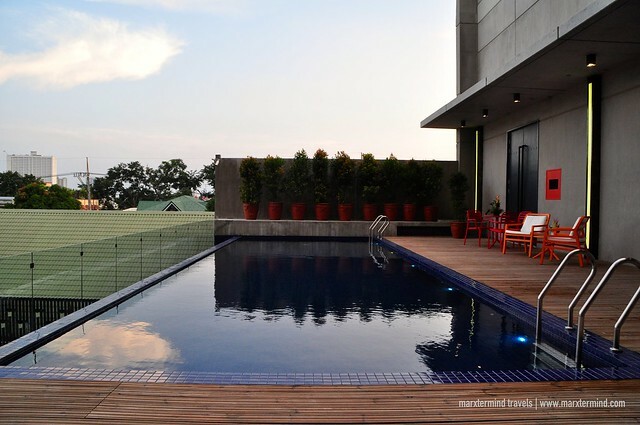 Strategically located in Quezon City, B Hotel Quezon City is great choice for families and friends looking for a place to simply spend a quick getaway and vacation. And that is what we were after for. The hotel is located nearby the leisure center and nightlife scene in Quezon City, making it rightly a good venue for our group’s weekend get-together. 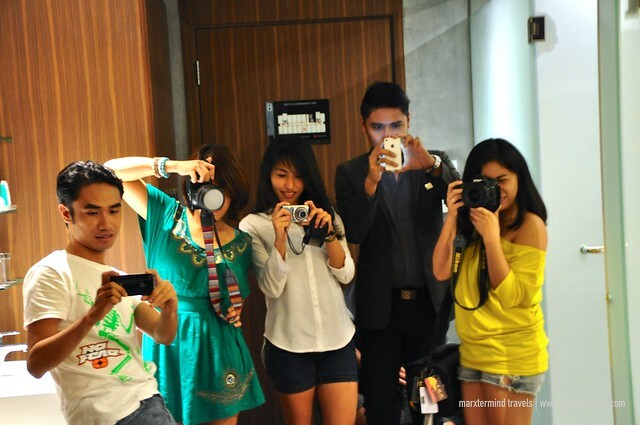 It was rare for our group to be complete in one event. And if we are all together, expect that it’ll be a total riot – packed with booze, stories and laughter. Most of us just came back from a trip locally and abroad making this weekend staycation a perfect time for all of us to catch up. 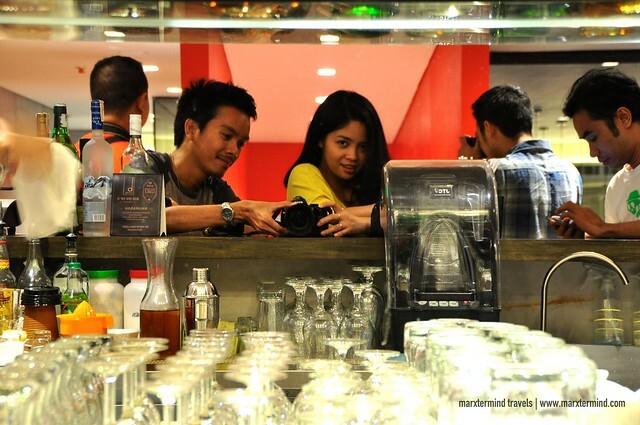 Our staycation started by having our lunch at The Lobby Café and followed by an ocular inspection of the hotel. 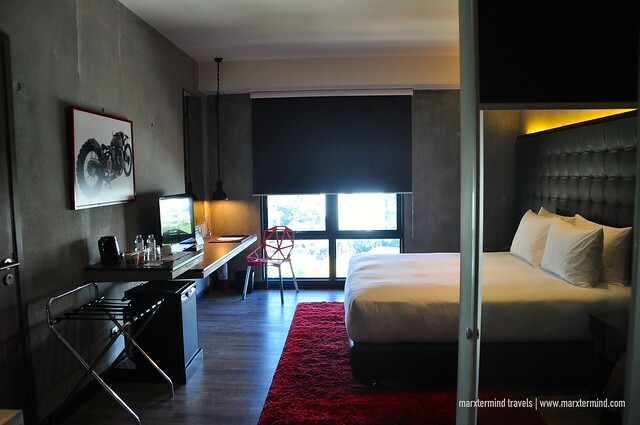 The hotel is generally styled with a contemporary rugged and industrial design offering convenience, comfort and hospitality. Its simple elegant interiors stunned me instantly. After the brief inspection of the hotel rooms and facilities, we went to our designated room assignments. We spent some time to have a quick rest before we proceeded to our next activity. 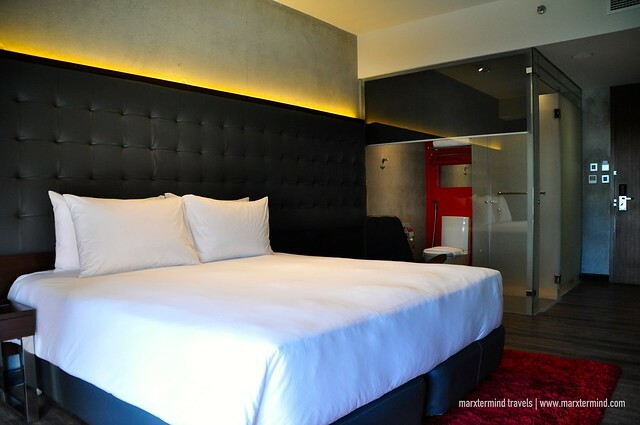 B Hotel Quezon City features guestrooms that are well equipped and smartly designed. Rooms are categorized into Superior Room, 1-Bedroom Suite, 1-Bedroom Garden Suite and 2-Bedroom Suite. You may use this link to check room rates and availability. All rooms are equipped with a flat-screen TV with satellite channels. They are also fitted with a private bathroom provided with free toiletries. Some units feature a seating area. Our room was a Superior Twin Room. It has twin beds. It was air-conditioned. It was equipped with a flat screen TV, DVD player, phone and coffee and tea making facilities. 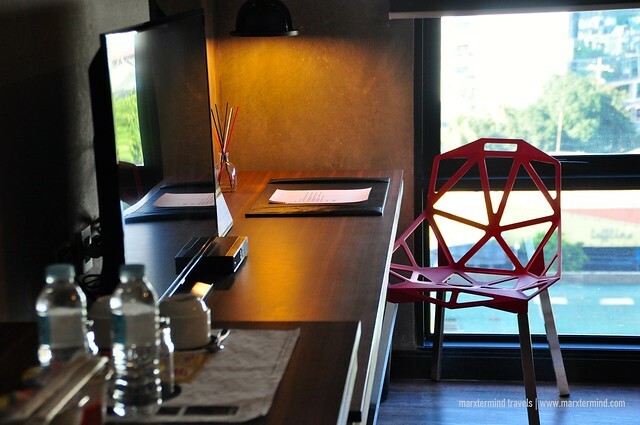 The room was also furnished with a work desk. I liked the interior of our room. 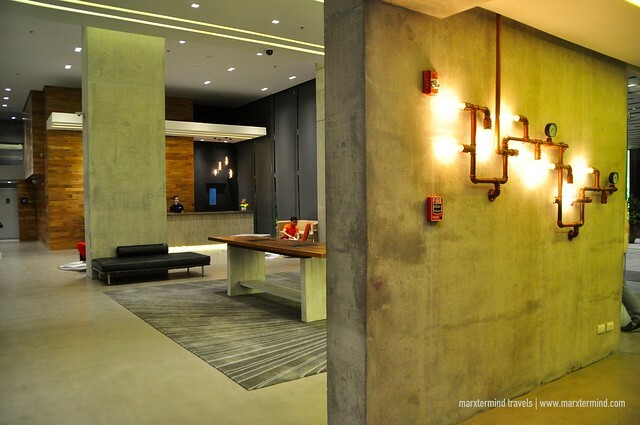 The fixture complimented the overall unique design of the hotel. It also has a sufficient space. The feel was private and simple. It was modestly appointed offering a cozy and laid back vibe. Part of our usual weekend staycation is to stay in one room and there we will watch a movie and other fun activities. But sometimes, we just laze around and wait for our checkout time. As usual, it is Mark’s room that had become our common place. We watched two movies until checkout time. Our group in one room, well it was an afternoon of craziness and laughter. The hotel also has its on-site restaurant and bars that we were able to try. They feature delightful food fare and dining options. 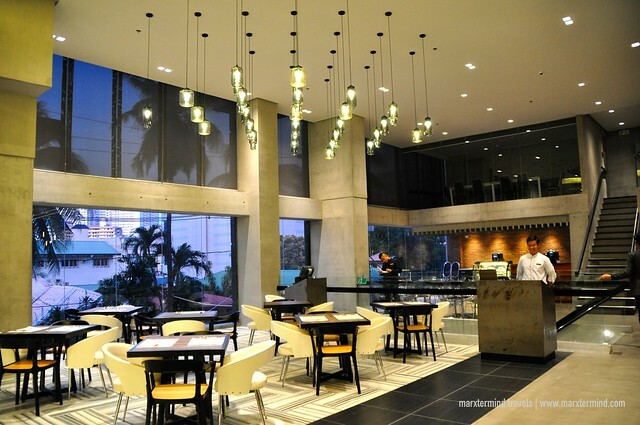 They have Lobby Cafe, pastry corner, poolside bar and Mezzanine Bar. We had our lunch and breakfast at The Lobby Café. We were able to sample out some of their delicious offerings like Organic Farm Green Salad, Cream of Mushroom Soup, Pampano with Tausi Sauce, Pinakbet with Bagnet, Beef Black Pepper Sauce, U.S. Angus Rib Eye and King Grilled Prawns. The breakfast buffet is also being served in the same restaurant. 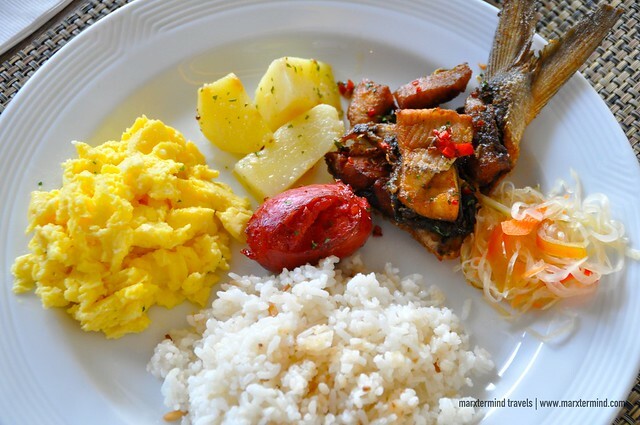 The buffet consists of local breakfast favorites. There were also salad, pastries, breads, cereals, soup and some beverages. We were also able to try the poolside bar when we had our afternoon snack. We had a plate of Creamy Carbonara, which I’ve found very tasty. 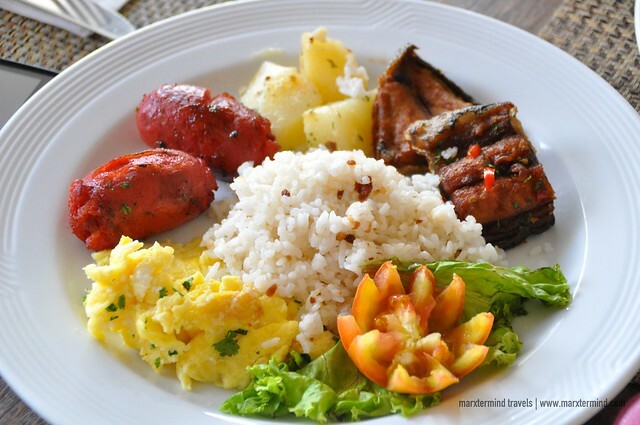 It was also served with a refreshing drink that instantly became the group’s favorite named as Kalikasan. For dinner, we had it at the Mezzanine Bar. Crispy Pata, Chopsuey, Beef Salpicao and Breaded Fish Fillet were served to us. I’ve found it not as grand and delectable like the lunch and snack that we had but I still felt grateful for the satiating meals. 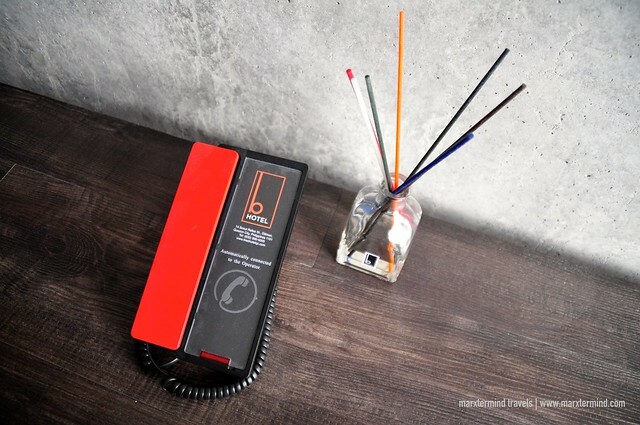 B Hotel Quezon City also features a wide variety of hotel services and facilities. Amenities include complimentary WiFi access, bar and restaurant, fitness center and a pool area. They also have function rooms for events and business meetings. With various facilities and recreational offerings, the hotel ensures that guests can have plenty of things to do during their stay. 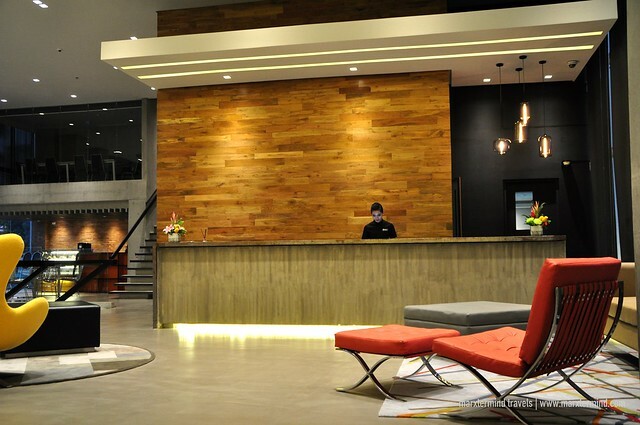 We were provided easy access to great services and helpful facilities for our convenience. It was just too bad that we missed the pool; I guess we were all just wanted to laze in our beds or maybe busy catching up. 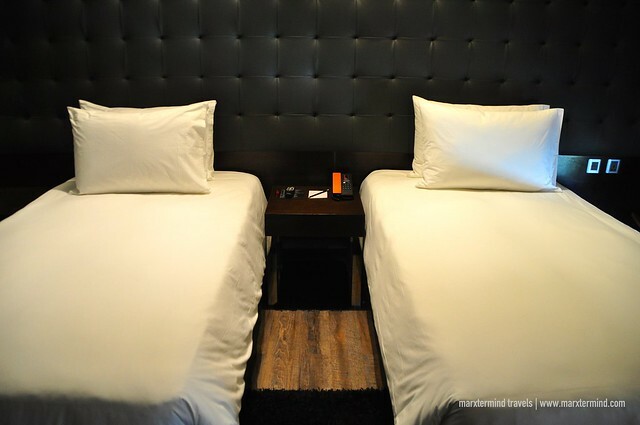 Apart from the outstanding room, enjoyable dining experience and great facilities that B Hotel Quezon City provided to us, what also stood out when we stayed in the hotel was the hospitality and kindness of the staff. The hotel itself was nice enough to be our base for the quick vacation in the city but the warmth and friendliness made our stay even more a pleasant one. 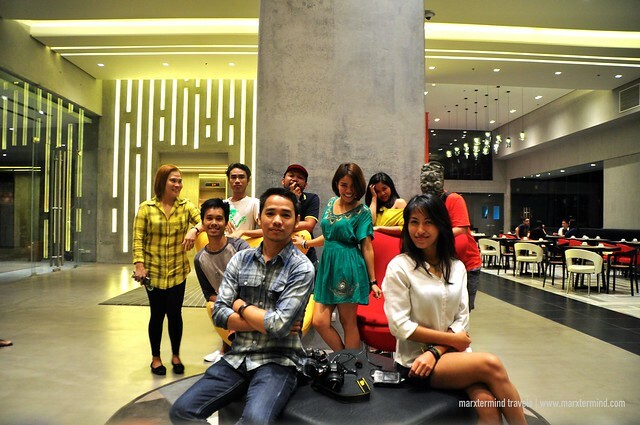 Together with my favorite buddies, it was indeed a better hotel stay experience at B Hotel Quezon City. 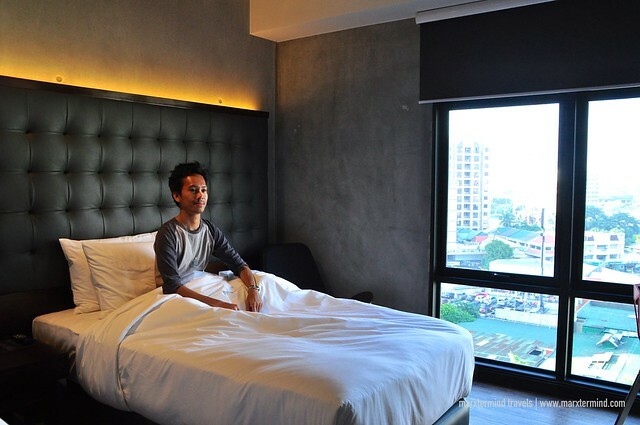 Disclosure: B Hotel Quezon City hosted me for a one-night stay. All notes and opinions are my own.